Christopher is a visionary Hawaiian filmmaker and a Sundance Institute Native Lab fellow. As founder of 4th World Film, he wrote Karaoke Kings, a feature film in development. He also directed LĀHAINĀ NOON, a narrative short that premiered at HIFF 2014. Christopher also directed a pseudo-documentary for the Smithsonian Institute’s Asian Pacific American "A Day in the Life" project. In 2015, his HIFF trailer MOMENTS won 4 PELE awards from the American Advertising Awards. Originally from London, Ben moved to Hollywood to pursue his dream of creating sounds for feature films. Two decades and nearly 100 films later, Ben is just getting started. Part of a rare breed that is as good at designing sounds as he is at mixing them, Ben began working at Technicolor in 2013 and has already contributed his skills to films for Blumhouse, Lionsgate and Focus Features. Ben, along with fellow sound re-recording mixer Craig Mann and production sound mixer Thomas Curley, took home the Oscar for Sound Mixing and BAFTA for Sound on the indie film Whiplash (2014). Ben is a member of the Academy of Motion Picture Arts and Sciences. In addition to his Oscar win, Ben cites his proudest professional moments as working with Angelina Jolie on her directorial debut, In the Land of Blood and Honey(2011), and his part in designing sounds for the Academy Award nominated Twister(1996). Not surprisingly, Sergio Leone and his sound mixer, Fausto Ancillai, inspire Ben creatively for the way the Italian filmmakers used sound to push the audience's emotional buttons. 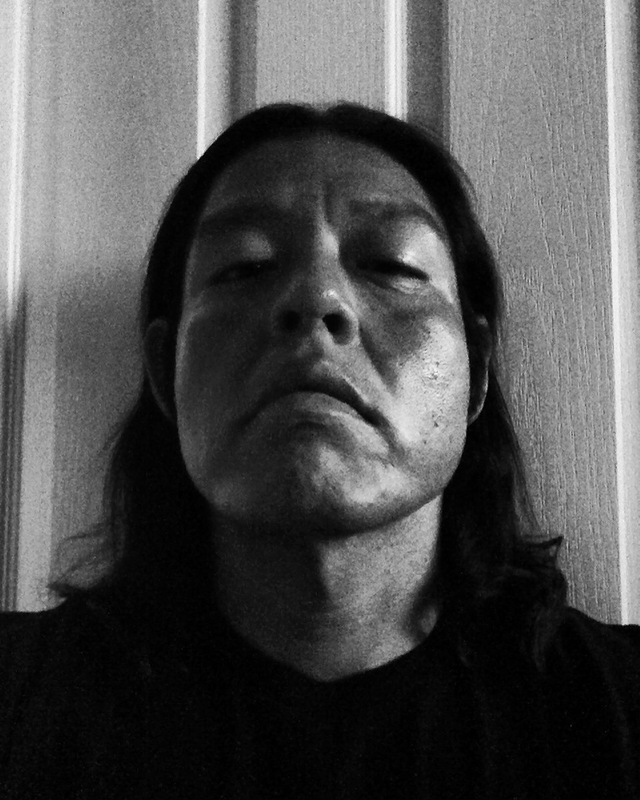 Director Blackhorse Lowe (Navajo) is known for narrative films set on the Navajo reservation that explore the pull between Navajo tradition and contemporary non-Navajo ways. Members of his family have been active participants in his productions and are often cast as the actors. In 2007 Lowe received a New Visions/New Mexico Contract Award to direct his most recent film, Shimásání. This narrative short, shot in 35mm black-and-white film, is taken from a story in his grandmother’s life as a young woman in the 1930s. It won the 2010 SWAIA Indian Market's Best of Show Award, the first time a film has won SWAIA’s top prize. The film also earned the award for Best Cinematography at the First Peoples’ Festival in Montreal and Best Narrative at the Marin County International Festival of Short Film + Video in San Rafael. Shimásání had its world premiere at the 2009 Tribeca Film Festival and was screened at many locations, including the Native Cinema Showcase, Sundance Film Festival and the imagineNATIVE Film & Media Arts Festival, where it received two Honorable Mentions. Kate Hackett is a film editor and filmmaker living in Los Angeles. She has edited six independent feature films, and is the 2018 Sundance Institute Sally Menke Editing Fellow. She has two major projects slated for release in 2018, one of which is Amy Adrion's Sundance 2018 premiere and SXSW selection HALF THE PICTURE, a feature documentary about women directors in Hollywood, featuring interviews with Ava DuVernay, Penelope Spheeris, Jill Soloway, and more. She was also an editor on Chrisopher Kahunahana's WAIKIKI, a narrative feature film whose director participated in the Sundance Native Labs. Other recent work includes THE SPACE IN BETWEEN, a series of five short documentary films for international broadcast on The Sundance Channel. Additionally, she has edited many narrative short films, in which she had the privilege of working with the performances of actors including Ed Helms, Gillian Jacobs, Nick Kroll, and Colin Hanks. Jason got his start in the media world at McCann Erickson Worldwide as a media buyer for Sony Pictures and then Sony Music International. In 2004, Jason relocated to Hawaii. With a passion for marketing and brand development, he launched Nella Media Group in 2009. In his capacity as CEO, he continues to push the boundaries of innovation in today's media market. Jason currently serves on the Board of Directors for the Hawaii International Film Festival. Josh is a father, entrepreneur, traveler and team builder. As of 2Q2017, Josh has five independent film projects in play, ranging from preproduction to making the festival rounds. His successful 20 year career encompasses the creation, management or consultation of businesses in film production, information technology, mortgage banking, franchise retail, manufacturing and the equipment rental space. Josh's unique experience and opportunistic drive provides him an ability to successfully execute diverse projects of many sizes. As founder of PointHawaii.com - the official media sponsor of the 2016 Hawai‘i International Film Festival, Naone brings her esteemed marketing knowledge, and experience to the forefront of Hawai‘i’s creative community. She was the 2013 recipient of the David H. and Doris C. Cromwell Award of Excellence and has held speaking engagements on behalf of the University of Hawai‘i as an Alumni Expert of its Arts and Culture program. Naone is a graduate of the Kamehameha Schools with a Bachelors in Fine Arts from the University of Hawai‘i Manoa. Ryan Miyamoto is a an accomplished cinematographer, director, and producer based in Los Angeles, California. Miyamoto’s work can be seen on National Geographic, the Discovery Channel, ABC, CBS, NBC, Fox Sports, ESPN, Disney and Red Bull Productions. His directorial debut, TWINSTERS, premiered at SXSW 2015 and received the “Special Jury Recognition for Editing.” Current work includes NBC Sports’ Spartan Race 2016, Fox Sports’ Titans of Mavericks 2016, and ESPN's NBA Eastern Conference Finals. Connie M. Florez is an educator, producer, writer, and director. She is the founder of Hula Girl Productions LLC and has worked on numerous award winning internationally recognized projects including Kumu Hina(2012), State of Aloha (2009) and The Killing of a John Lennon (2006). She is the recipient of the CINE Golden Eagle Award (2009) as well as The Emerging Women Filmmakers Grant from General Motors Alliance (2007). She has taught film studies at the University of Hawaii Academy for Creative Media since 2006 and has been the honored Director Of Programming for the Honolulu Rainbow Film Festival since 2003. As the owner and founder of Greg Doi productions, Greg has been working for feature film and commercial productions for more than 15 years, both within and outside Hawai‘i. Notable projects include Kong:Skull Island, Lost, Mike and Dave Need Wedding Dates and Godzilla. Most recently, Greg’s The Land was accepted into the 2016 Sundance Film Festival. Now in its ninth year, Vince’s company Co-Creative takes on TV, commercial, and film project for organizations like The Kamehameha Schools, Showtime Networks, and Hawaii Pacific Health. A Co Creative collaboration with Rising Sons, short film "Ho'omau" took the Audience Award at HIFF 2016. Co Creative's feature doc "Visions in the Dark: The Life of Pinky Thompson" was honored as the Closing Night Film at HIFF 2015. It is scheduled for PBS Nationwide broadcast later this year. Vince is also a producer of the Merrie Monarch Hula Festival and collaborates as camera operator on CBS’ TV series Hawaii Five-O.